Section Planes for SketchUp rendering. Using a Section Plane to cut through a building. The camera can then be placed outside the room for a better perspective. Section Planes for rendering the inside of a building or room. Place the camera entirely in the room, and use a wide camera angle. 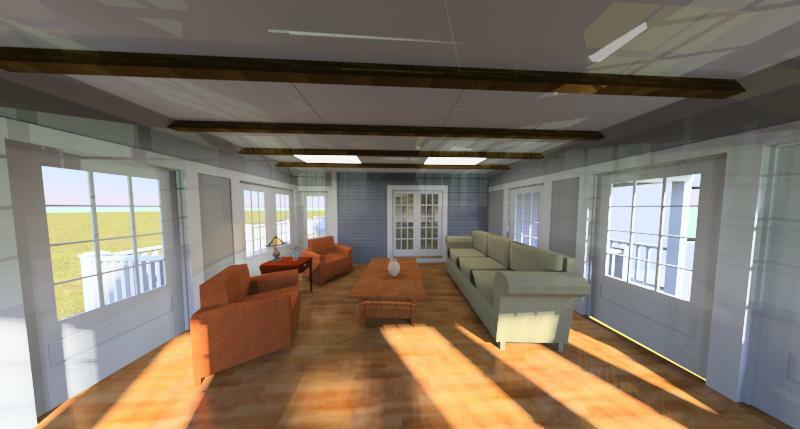 Place the camera outside the room and hide one wall in SketchUp. Place the camera outside the room and use a section plane to remove a wall. 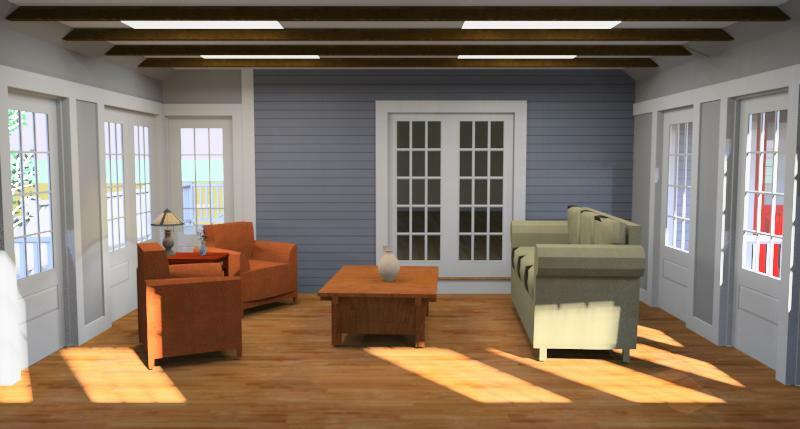 If your renderer can do it, the best approach is to use a section plane to create a high quality and realistic perspective, lighting and reflections. No section plane. Camera placed inside of the room and the field of view was increased to see the entire room. However the image gets distorted and has a fish-eye look. Option 1 often produces a distorted image, especially if you want to see detail on the left and right walls. Wall removed and camera placed outside of room. This creates a good perspective, but light is let in the room due to the missing wall. 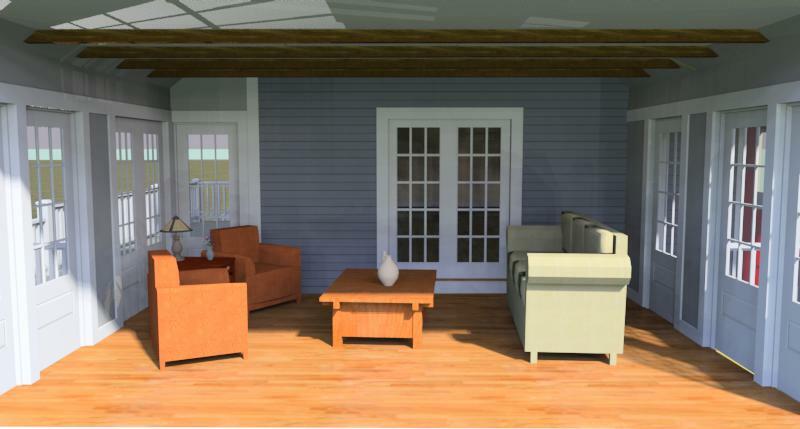 Option 2 is a problem for photorealistic renderers, especially if there is sun and sky lighting to be processed through windows. Because you have effectively removed an entire wall it means that light from outside is now able to filter in causing improper illumination. Section Plane cut through building. The geometry sectioned out is still used for lighting and reflections. Option 3 is best, if your renderer supports section planes. You get the best of both worlds. The wall is removed, allowing for better camera positioning, but the wall is still used for shadows, illumination, and reflection, which means the room will be lit accurately.